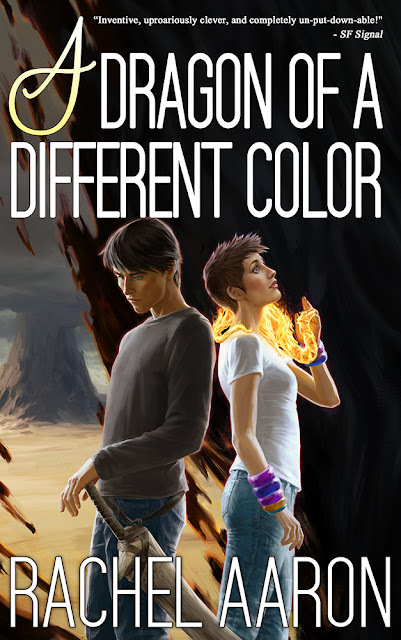 Pretentious Title: A DRAGON OF A DIFFERENT COLOR is out now! 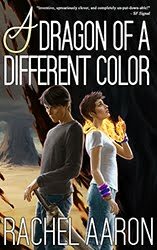 A DRAGON OF A DIFFERENT COLOR is out now! It's time! It's finally time! Heartstrikers book 4, A DRAGON OF A DIFFERENT COLOR launches today!! The ebook is now up on Amazon and available to read for free on Kindle Unlimited! Hooray! For those of you who love the audio edition, Vikas Adams is recording it right now and it should be available in September. To be notified when it drops (and get a lot of other awesome stuff before anyone else), sign up for my New Release Mailing List! We're also working on the print edition right now and that should be up soon as well, so you can have dragons in whatever style you want!! As always, thank you all so much for subscribing and reading! You're the reason these books exist, and I cannot thank you enough for being my fans. Happy reading, and I hope you love A DRAGON OF A DIFFERENT COLOR! September can't come soon enough! I started refreshing my email at midnight for the confirmation email that my pre order was available. It took seven minutes, and another couple minutes for my kindle (Junie B) to download it, but considering I stayed up until 5am reading, I will accept that. It was amazing. Truly amazing. The only part I didn't like is that it ended, and the fifth book isn't out yet. I need it. Now, please. I'm going to do a reread right before book five, this time with the audiobooks. I'm so excited for this! I've been trying to write a review for GR for the couple of days since I finished, but I'm not quite sure what to write beyond, "OMGOMGOMGOMG WEEEEEE!!!!" and I feel like I can maybe do better than that. It feels epic troll to just end like that. If a book is meh or bad, cliffhanger endings are zzzz but when a book is as well written and interesting as this, a cliffhanger ending is seriously painful and leave a churning unfulfilled pit in my stomach of un-satisfaction. On another note, love the book (till the last page). Read it in one sitting. Could not stop myself from devouring ever word and idea. Looking forward to the print version so I can pass it on to people in the hospital I work at. Just finished reading! Can't wait for the final book! Over all I thought it was good! Just a little too much exposition and not enough plot movement. And of course I wanted more Julius! I loved the story though with Chelsie, the Qilin, and the F's . That was the best part of it for me. So excited to see how this all works out. Thank you for a great series! Thanks so much for letting us know about the audio edition. 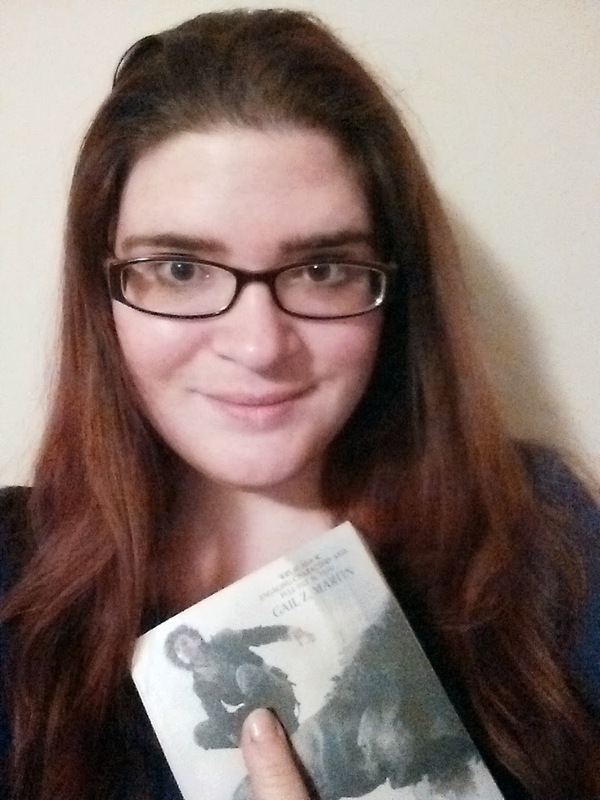 I started the series about a week ago and have been listening non-stop since then - I'm halfway through book 3 and can't wait to continue! Is there a release date for Audible yet? My son and I are trying to wait very patiently for it. So when is the next one planned? Hello! Very good book! Read also this book at this free service. I like reading books, my favourite is detectives. But I get money for giving career advice. It's my lovely job. Hello! It seems to me this book is a good one and many people will definitely like it. By the way, you can apply to the essay writing service that helped me with apush short answer questions examples It's very comfortable and saves time! Interview with the Creative Penn!